You found my secret page - aren't YOU the clever one! If you've been struggling trying to make money blogging, or thinking about starting a blog, you are in THE perfect place. Wealthy Affiliate is a complete education and an all-in-one solution to get YOU making money online. Oh, and it's FREE for as long as you want! I have been a member of Wealthy Affiliate for over 10 YEARS - I LOVE it! You will get TWO free websites, access to the best keyword tool on the market (the tool *I* use) and tons of training courses, bootcamps, and step-by-step guides to walk you thru every single step of your journey. And YES, all of that (and more) for FREE. So hurry and sign up - I can't wait to meet you on the inside! There ISN'T a "catch" - pinky promise! There is an OPTIONAL Premium Membership available to you (like I have) that is a monthly fee, but you are under NO obligation to upgrade, pay for anything, enter any sort of payment details, etc EVER. What's The Difference Between a Free Account and a Premium Account? Well, first off, all the cool kids are Premium Members, like me... hahaha! I've paid for my Premium Membership here for over 10 YEARS, that's how valuable I believe it is inside the walls of Wealthy Affiliate. Here's a handy comparison chart to see what each membership level gives you (there's only 2 membership choices). 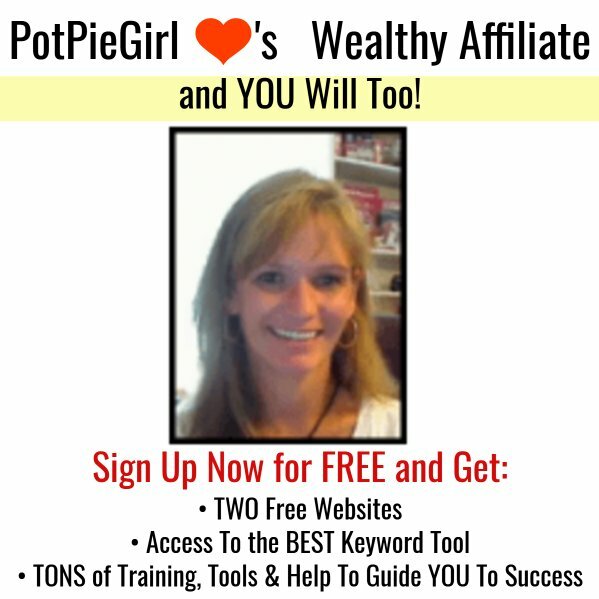 While there is a LOT waiting for you inside Wealthy Affiliate as either a Free Member or as a Premium Member, I can tell you that one of MY favorite perks is Premium Members get access to this keyword tool for free. And yes, Free Wealthy Affiliate members can also use that keyword tool - you just have limits on the number of searches you can do. Be sure to stop by my profile page and say hello once you're inside! not sure what you're signing up for?